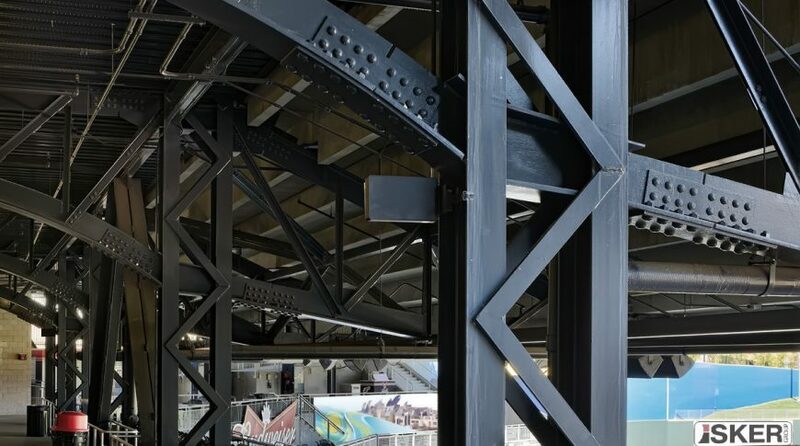 Metal columns are one of the heavy duty elements made of steel as the skeleton of building consists of them. For modern construction technologies buildings based on the metal frame and metal columns due their simplicity and convenience of erection today are top requested. OPPB (part of ISKER Group) completed large-scale scope for company AldagradStroy on fabrication of Heavy Duty support columns and structures for Kyzylorda City Sports Palace within shortest deadlines. It required joint cooperation with remote site in Kyzylorda, designing and agreement of dimensions to get accurate steel structures. It has been used high quality steel to get the excellent product, as well welding and painting required us to involve the best specialists. Owing our innovation based plant we have managed to achieve targets and provide product in compliance with client’s specification.